نصف‌النهار ۱۴۰ درجه غربی ۱۴۰مین نصف‌النهار غربی از گرینویچ است که از لحاظ زمانی 9ساعت و 20دقیقه با گرینویچ اختلاف زمانی دارد. 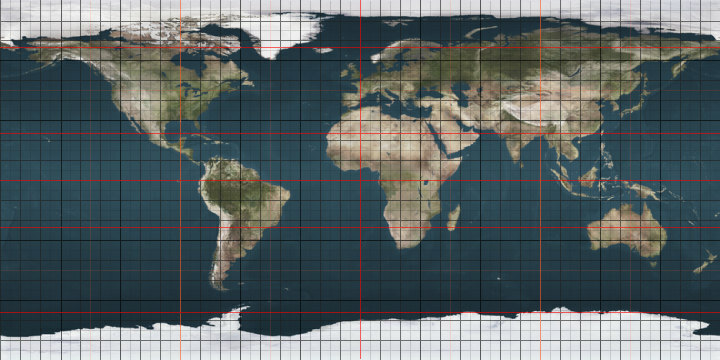 The meridian 140° west of Greenwich is a line of longitude that extends from the North Pole across the Arctic Ocean, North America, the Pacific Ocean, the Southern Ocean, and Antarctica to the South Pole. The line is the divider in the area of warning responsibility between the National Hurricane Center and the Central Pacific Hurricane Center in the north Pacific Ocean. The 140th meridian west forms a great circle with the 40th meridian east. این صفحه آخرین‌بار در ‏۲۷ مارس ۲۰۱۸ ساعت ‏۲۲:۲۵ ویرایش شده‌است.